As I grow older I begin to realize how much I truly sound like my parents, especially when speaking of the passage of time. 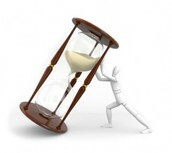 I cannot believe the speed at which things seems to have increased with each passing year. I know, as students, the school year sometimes seem to drag on and last forever, but for those of us on the other side of the desk it passes in the blink of an eye. I feel like i was just writing about the opening of school and here we are about to welcome in the start of the new year. As I look back on the year past, I am happy for many of the goals we were able to accomplish. On the secondary level we have continually increased our academic rigor and offered more options for students who want to challenge themselves to the fullest, be those dual enrollment, advanced placement or new elective courses. Each student at Raritan High School was also provided a brand new Chromebook to start the school year. Our K-5 students started the school year with a new math curriculum aligned to the common core standards. We have continually increased the availability of all technology at every grade level, including the creation of a Fabrication lab at Raritan High School. At Sycamore Drive Early Childhood Learning Center, several portable Smart Tables were provided for the the preschool classes to enhance their learning environment. Our AVID program was also expanded to cover grades 7 through 10. Our elementary multi-grade classroom has been a great success and we are looking to expand this program in the future. At a time when technological devices are so prevalent in the world today, our goals are to encourage students to read for pleasure, improve the students’ reading skills, increase the students’ love of reading, motivate students to set personal goals, and educate students on collectively working with others to achieve a common goal. The mission of the “Book Worm Reading Challenge” was a school wide program that worked to promote literacy amongst the student population. As our students worked towards setting personal goals, they were working towards achieving a school wide goal as well. 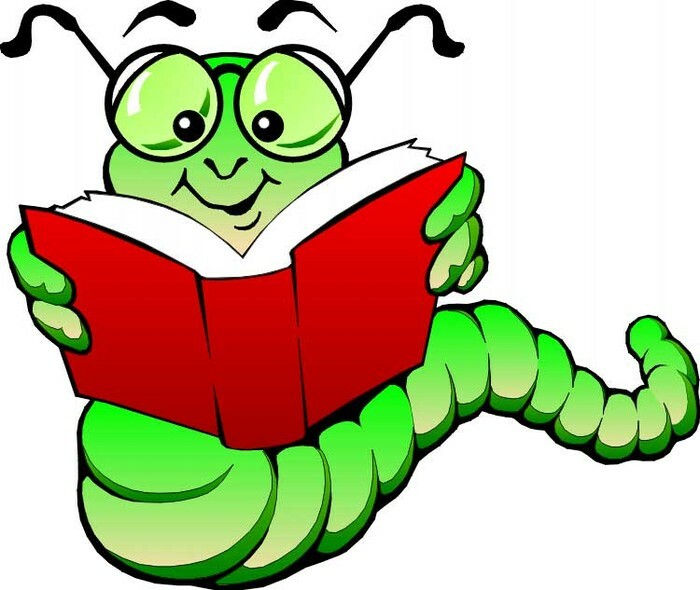 The “Book Worm Reading Challenge” was a reading program implemented into Middle Road Elementary School this year as part of Professional Development School Legacy Project. We challenged all 300 students in the school to read a total of 20,000 pages. For each marker they reached, they received a reward. We are pleased to announce that they have met all markers and exceeded our greatest expectations. The students have exceeded their goal and read an astounding 40,759 pages! For that, we are very proud and have planned a celebration of their accomplishments. Cove Road students in Mrs Ronan’s class have flipped their minds; their math minds to be exact! With the use of the Pearson Envision Mathematics series, they have embraced the concept of a Flipped Classroom. Their homework now consists of watching videos and performing a series of online tasks. Prior to each day’s lesson, the data is evaluated by Mrs. Ronan, making the focus of the lesson more purposeful to the students. According to fifth grader Alex Pante, the Flipped Classroom works because, “we only work on the problems we don't know, not the ones we do”. Jack Coleman thinks that flipping the classroom, “was a great idea because you can do the homework anywhere you have the internet and even on your phone”. And Gianna D’Angelo states,“it is better and easier because I can focus more.” The Flipped Classroom enables the students to thrive in a more learning friendly environment. Students from Raritan High School’s Career Shadowing Program at Bayshore Hospital, will be featured in What’s Happening at Meridian (WHAM). This publication features innovative programs that are ongoing in Meridian Health’s hospitals. The Career Shadowing program is open to students in grades 10 through 12 that are enrolled in either AP Biology or Human Anatomy & Physiology and wish to pursue a career in a health related field. Participants in the program shadow doctors, nurses and other hospital staff for a minimum of four hours per week. Students meet with Mrs. Peggy Skudera, Manager of Guest Relations at Bayshore Hospital, and select an area of the hospital that they would like to volunteer in. 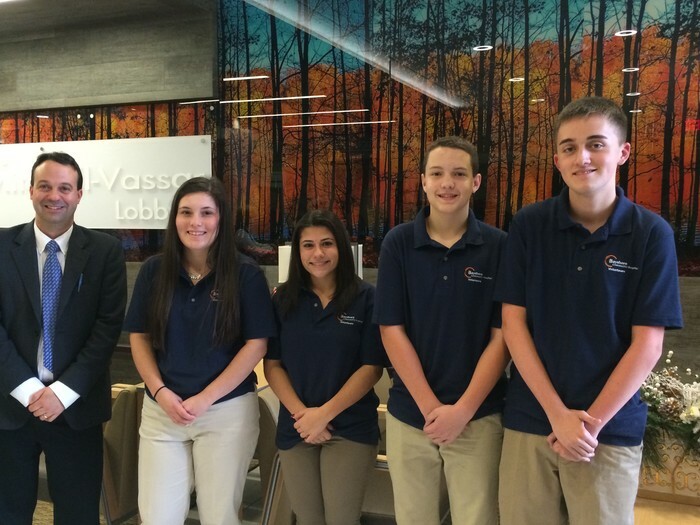 Pictured in the photograph from left to right are Mr. Miller, Supervisor of Science, Brianna Bowles, Madeline Barrale, Ryan Warren and Alex Wodeshick. 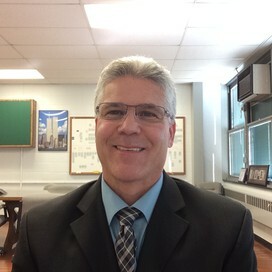 Other students who are participating in the program are: Alexis Sideris, Christine Pobega, Christine Shea, Nicole Coppolino, Mazhar Qureshi, Emily Valenzano, Deanna Picarello, Brooke Wierciszewski, Linsey Wierciszewski, Matthew Bunge, Katherine Arnold, Elizabeth Donnelly, Alexander Durand, James Spinelli, Susie Costello, Adilah Khan, Jonathon Ortiz and Danielle Picarello. The week of December 7th - 11th was Kindness Week at HMS! Last month, we participated in Rachel's Challenge, which challenged our students to start a "chain reaction of kindness"...so with the help of our Peer Leaders and school counselors, Kindness Week was born! 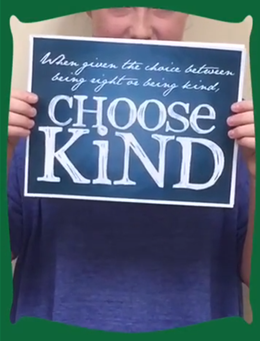 Peer Leaders made a kindness video, which we posted on our school Facebook and Twitter pages. On Monday, we kicked off Kindness Week with morning announcements, and on Tuesday, Wednesday or Thursday, all students participated in a classroom lesson and activities about kindness, which were taught by the school counselors. The Peer Leaders made over 500 notecards with inspirational, positive comments and quotes, which they slid into each locker and each teacher's mailbox, so that all members of the HMS community were greeted with a kind message when they arrived at school on Thursday morning. During lunches each day, students were asked to record random acts of kindness they witnessed, by writing them on paper strips which were used to create a paper "chain of kindness", which we will continue to build all year long. The week ended with a "Stick It Forward!" 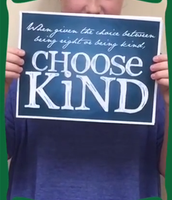 campaign, with Peer Leaders distributing stickers to students throughout the day, each time they witnessed someone saying or doing something positive and kind. Students were also encouraged to "Stick It Forward" by giving their sticker to someone they witnessed committing an act of kindness. We were able to keep the compliments and good deeds going all day long! Kindness Week was an initiative of our yearlong character education plan called "Making your M.A.R.K. at HMS" M.A.R.K. = Multicultural Awareness - Accountability - Respect - Kindness. More awareness activities are planned each marking period, and we look forward to all HMS students making a M.A.R.K.! 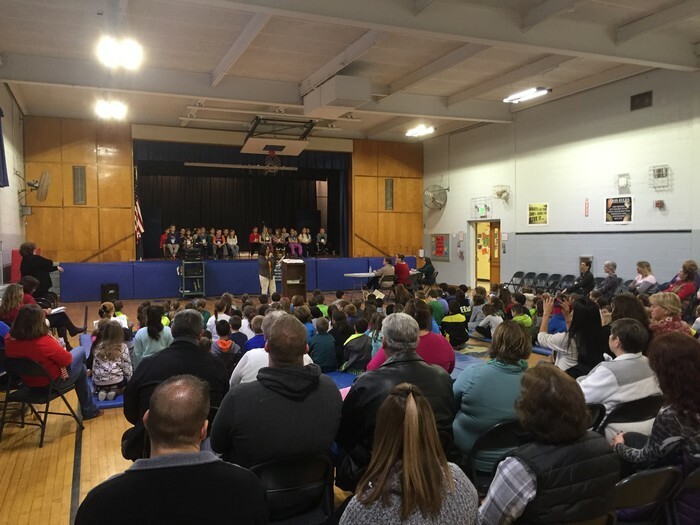 Raritan Valley School held their annual SCRIPPS 4th Grade Spelling Bee on December 18th. 24 students competed for the school championship. Alana Clifford finished in 3rd place, Joshua Stephens was the runner up and the champion was Blake Cregg-Wedmore. Blake will compete at Monmouth University in March for the county championship. Congratulations to all who participated. Rockets are State Champions in Football! 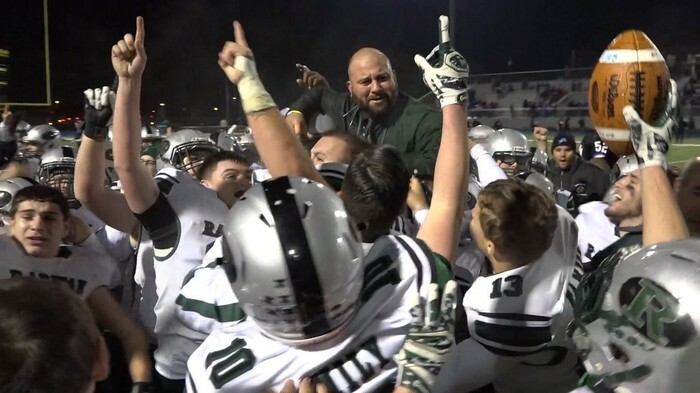 After an incredible start to the season and several close games, the Raritan Rocket Football team qualified for the State tournament with a 3-5 record. The "Never Doubt Us" attitude carried the Rockets through two playoff victories against Point Pleasant Boro and Delaware Valley Regional High Schools. The Raritan Rockets football team advanced to the state final scheduled for Saturday, December 5th at Kean University. Leading up to the game a school wide Pep Rally was held with Raritan High School alumni and current NY Giant, Bennett Jackson as our guest speaker. A pre-game parade was also held on Middle Road filled with cheering fans, banners and ribbons as the team traveled to the championship game. The Raritan Rockets in exciting fashion defeated previously undefeated Lincoln High School by a score of 28-26 with eight seconds left in the game in front of a crowd of over 5000 supporters. The Raritan Rocket Football team was the NJSIAA Central Jersey Group II Champions. As the team returned to Hazlet they were greeted by a parade of firetrucks and emergency vehicles, sirens blaring and lights flashing in celebration. Our first football championship since 2004 was achieved. The 2015 Raritan Rocket Football team, led by Head Coach Anthony Petruzzi and his team of assistants, were honored by Mayor Sachs and the town council, Board of Monmouth County Freeholders and Senator Kyrillos for their incredible achievement. The entire community is proud of what these young men have accomplished!